In a world where more and more people and devices connect to the Internet, greater focus must be placed on security and privacy. The past year has seen the manifestation of several vulnerabilities that gathered a storm of media attention. 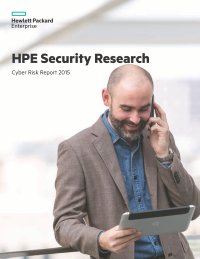 This report provides security information leading to a better understanding of the threat landscape, and resources that can aid in minimizing security risk. Network defenders should use this information to better understand the threat landscape, and how to best deploy resources to minimize security risk. Download this report as it examines the 2014 threat landscape, ranging from industry-wide data down to a focused look at different technologies, including open source, mobile, and the Internet of Things. HPE is the sponsor of this material. By submitting your information you agree to be contacted by HPE on topics of interest. Before deciding please review HPE’s privacy statement.